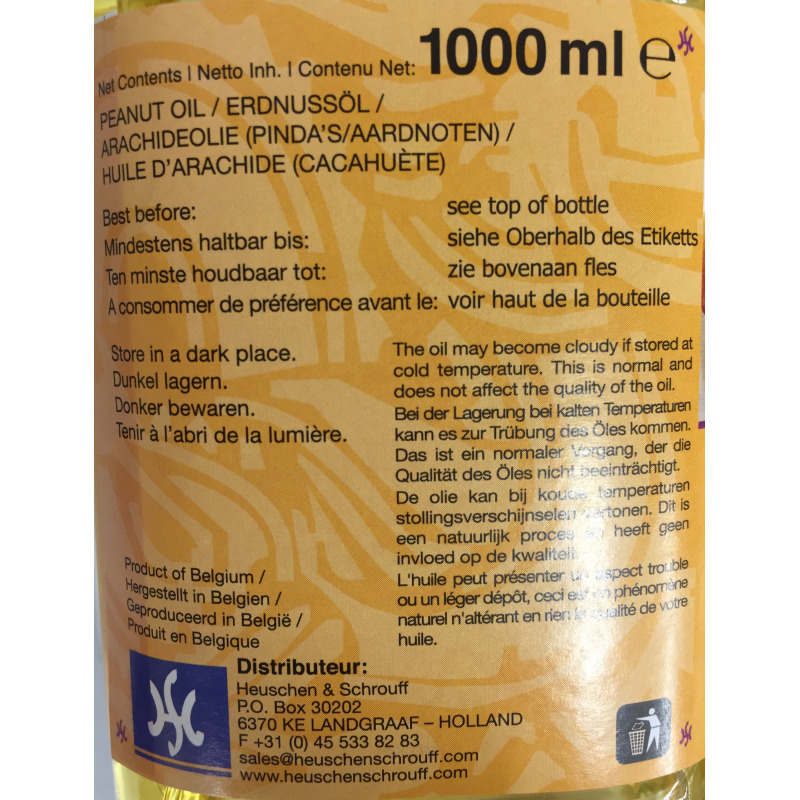 Peanut oil is a mild, nutty flavoured peanut extract. 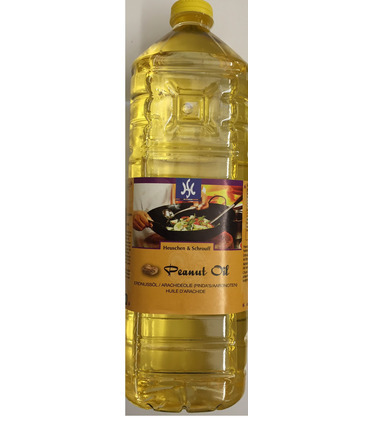 This edible cooking oil is commonly used in Chinese and Asian cuisines. 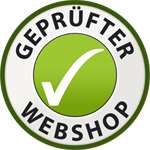 It can be used for frying and sautéing food and in salad dressings and soups. Health Benefits - It is naturally trans-fat free, cholesterol free, and contains mostly mono-unsaturated fat. - It is high in energy. - It is a rich source of Vitamin E antioxidant. 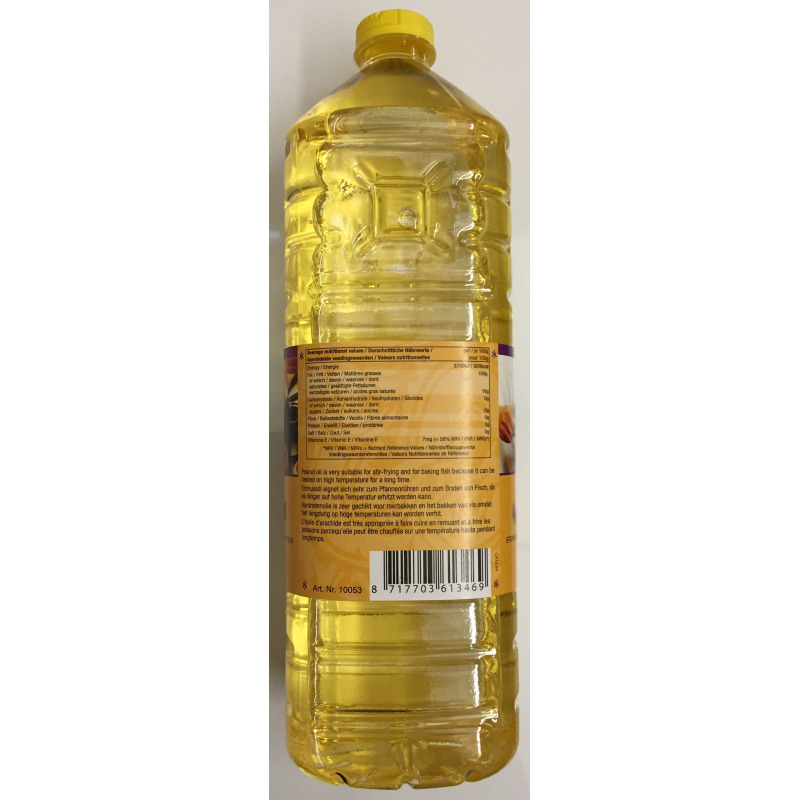 - Peanut oil is good for deep frying as it has a high smoke point as compared to other oils. 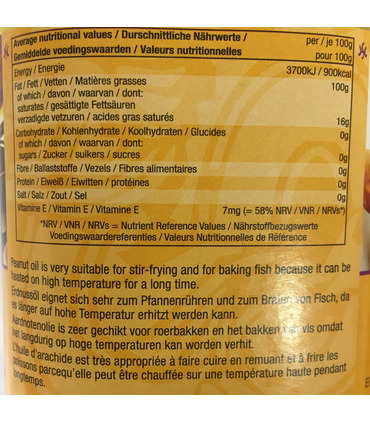 So food fried in this oil will retain lower amounts of oil. However, as it is high in calories it is used in smaller quantities in a dish. 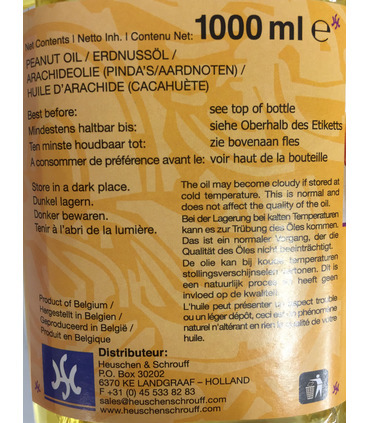 Peanut oil is a mild, nutty flavoured peanut extract. 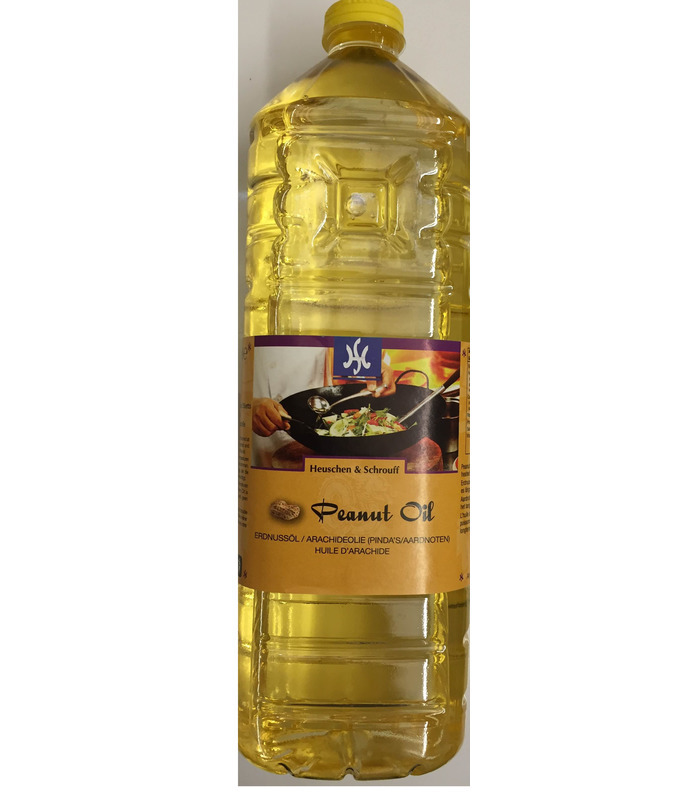 This edible cooking oil is commonly used in Chinese and Asian cuisines. 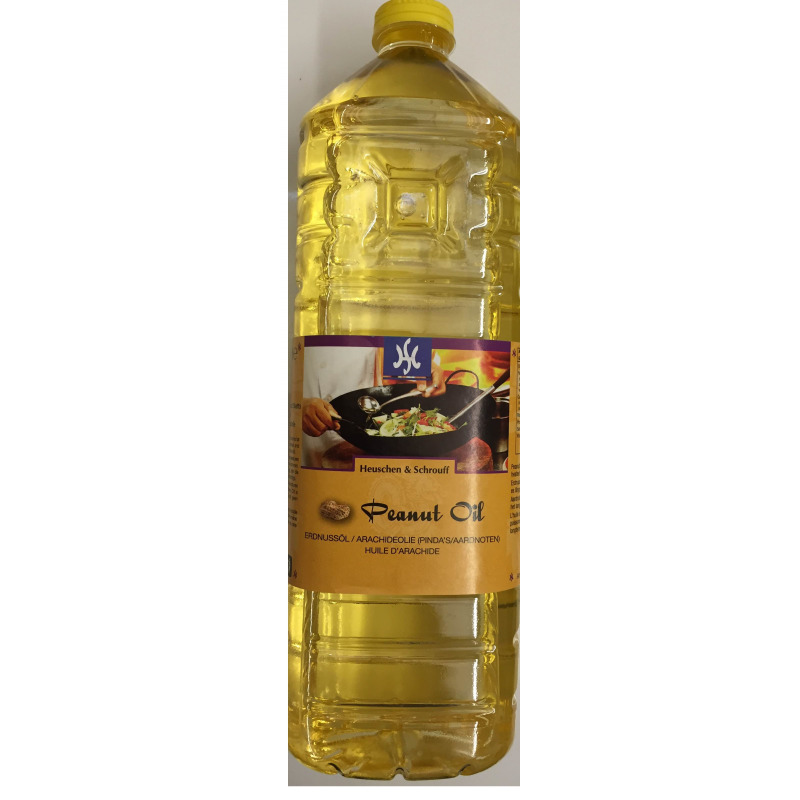 It can be used for frying and sautéing food and in salad dressings and soups. - It is naturally trans-fat free, cholesterol free, and contains mostly mono-unsaturated fat. - It is high in energy. - It is a rich source of Vitamin E antioxidant. - Peanut oil is good for deep frying as it has a high smoke point as compared to other oils. 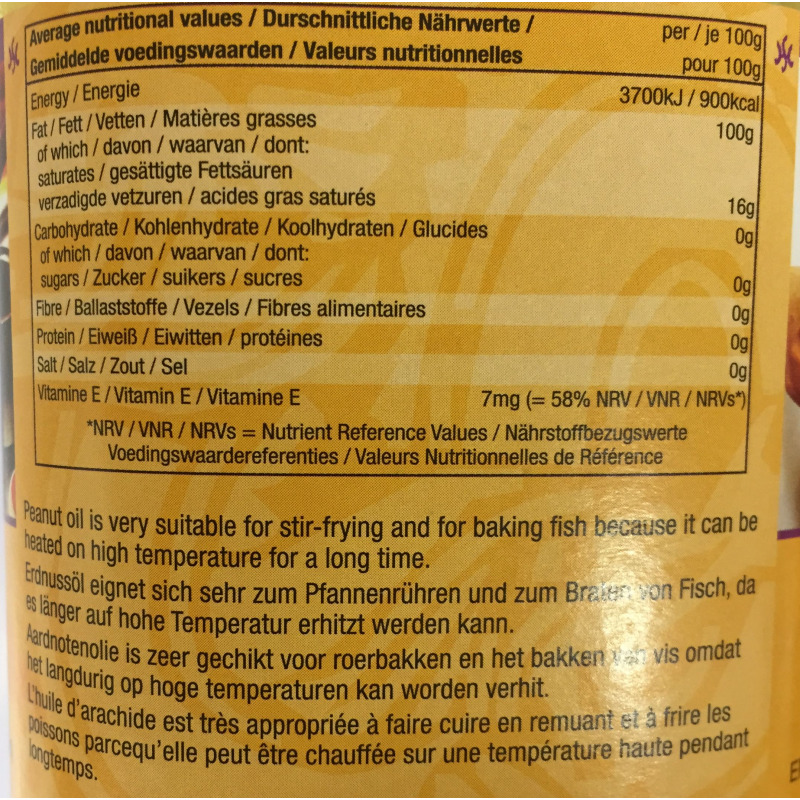 So food fried in this oil will retain lower amounts of oil. However, as it is high in calories it is used in smaller quantities in a dish.